Breathtakingly stark, brutal, stunning, heartrending imageries of natural calamities and massive destruction, spiraling across the world from Rio de Janeiro to Rome, Americas to the Himalayas - Roland Emmerich’s take on the ‘2012’ global cataclysm is as eerily real and imminent as it can get. Even without the aid of special effects and sci-fi graphics, the nightmare comes alive 24/7 in many parts of the world; and we are inundated with cascading news stories of horrific nature almost on hourly updates. It’s not sheer premonition of impending doom; we have shivers running down our spine witnessing chilling videos of real-time Armageddon. Earthquakes, tsunamis, floods, hurricanes, tornados, forest fires, smog, drought, pestilence, extreme weather, melting glaciers, shifting continents, rising oceans, human disruption – the Time Wave Zero narrative is truly terrifying. Power grids, global positioning satellites, computer networks, communication systems and all our strategic backup gadgetries would be woefully inadequate to meet the challenge of such emergencies of a colossal scale. During the winter solstice of 2012, the Earth will line up with the Sun and the centre of the galaxy. The orbital planes of solar system and 12 Zodiacal constellations will intersect the Dark Rift, a black bit of the Milky Way located next to Sagittarius. The Earth and the moon float in the waves emerging from the centre of the galaxy, bobbling in the galactic sea, known as the procession of the equinoxes (23.5 degree wobble of Earth’s axis that changes our orientation to the larger field of stars). The pulse of the centre of the galaxy comes to earth every 26,000-year intervals. The galactic centre appears to be 26,000 light-years from Earth. One light-year is a distance equivalent to 5.88 trillion miles, making the galactic centre about 153 quadrillion miles distant from Earth. Visible light, X-rays, gamma rays, radio emissions that reach us today from galactic centre took 26,000 years to arrive on Earth. What happens on December 21, 2012 is a rare alignment of our planet, our solar system and the centre of our galaxy. This will not occur for another 26,000 years. Many believe that this opening up of high energy fields and transformative impulses will have a great impact on human evolution, a shift in consciousness. NASA is predicting strong solar activity around 2012. Since 1610, when magnetic storms – sunspots – began to be observed, 23 cycles of sunspots averaging 11 years each have occurred, with the last beginning in May 1996. On March 10, 2006, sunspots and solar flares suddenly stopped. The next sunspot cycle will be 30-50 per cent stronger than the previous one. Some speak of a possible sudden shift in magnetic orientation of Earth’s poles, and displacement of the Earth crust. The planet’s magnetic field has been weakening rapidly. Magnetic reversals have already happened 171 times in the last 76 million years. However, any loss of Earth’s magnetic shield, or a reversal of the poles will have tremendous consequences – for man and nature. Ocean currents, weather, energy fields, human brain and electromagnetic nature of consciousness – everything will be affected. Many species of animals – from whales to dolphins to hummingbirds and wildebeests rely on Earth’s magnetic “superhighways” to navigate their way to feeding and mating grounds. Millions of tiny magnetic particles in our brain connect us to the Earth’s magnetic fields. It affects our nervous system, immune systems, perception of space, time, dreams and even reality itself. Consciousness – energy includes magnetism and electricity. Many believe that the “galactic synchronization beam” would thus primarily transform us, our consciousness, and make us Luminous Ones. this is real scary.. but we cant say anythin.. i wonder how the whole world would be on 20th of December 2012, all waiting for the 21st.. LOL! This isn't the first instance of dooms day theories and prophesies making news. 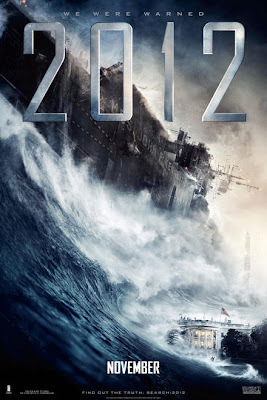 However, 2012 phenomenon does seem convincing, or rather interesting, grounded with numerous evidences. Let's keep the optimism floating!